On this day in 1925 was born a man who has been for all my life one of my greatest heroes – probably the foremost – and an inspiration, and a role model, though I cannot claim to even begin to come close to embodying the high standards that he set by his example. He was a true hero in many, many ways, most of which are unrecorded and unheralded by the world at large, but which are nevertheless heroic. As copilot of four-engine bombers for the 493rd Bomb Group of the 8th Air Force, he flew 30 missions against Nazi Germany as lead plane in his squadron. 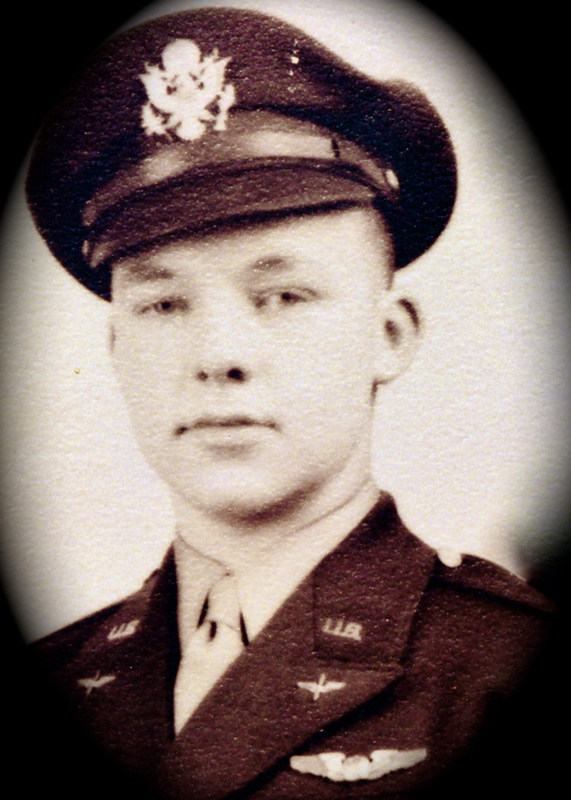 He flew both B-17s and B-24s, making him unusually qualified to comment of the relative merits of each. For his service he was decorated with multiple Air Medals and twice received The Distinguished Flying Cross. After the war, he married, and took to studying law at Georgetown. But when the United States Air Force was formed as a distinct branch of the military, he rejoined and served until 1969, however it was not until 1999 – thirty years after he retired – that he received his final Citation from the Secretary of Defense, enough material having been declassified to permit the issuance of the Citation. So, as I say, he was a hero officially. But he was even more a hero in ways that are less formally recognized. He and his wife of fifty-five years raised six kids and put each one through college. And the two of them never forgot their primary role as parents: to be teachers. He took his role as a teacher to be one of his most important duties. Whether around a meal table, working on an engine, or hiking in the mountains, he continually taught. And not merely facts and figures, but values and morals and beliefs. And he continued this important role unto the next generation, teaching his grand children. And he was a hero at the very end of his life, eduring with as much patience and good grace as possible the affliction of amyotrophic lateral sclerosis, ALS or “Lou Gherig’s Disease.” As Dylan Thomas advised his own father, he would not “… go gentle into that good night,” but neither did he rage. If I were to find myself in the same circumstance and face it so well, I’d be proud indeed. My father as a young US Army Air Corps officer in 1945. So, today, upon the occasion of what would have been his 87st Birthday, I send out this in tribute to one of the finest human beings I shall ever have the pleasure and benefit of knowing; though I know and have known many outstanding and astounding people, he stands out from them all: my father, William Charles Rawson, Senior. As fine a man as I have ever known: a wonderful father, an irreplaceable teacher, a courageous and heroic gentleman. It is true, he was not flawless, for no one is, but his virtues were many. And I can say with all sincerity: If I am ever accounted half the man he is, I shall adjudge myself a success in this world. This entry was posted in On This Day and tagged American History, personal, William Charles Rawson Sr by Jamie Rawson. Bookmark the permalink.